My obsession with Zooey Deschanel is growing with the count of times I have listened to Volume One. I love how her voice and her sense of style are a throw back to old Hollywood. 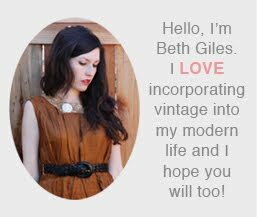 Here are some pictures of her fab vintage style! I am a HUGE fan too. That record is on constant rotation. I am on her fan mailing list, so I will find out when she performs here and we will go!!! ugh, who doesn't love zooey? she is totally a appropriate gender-neutral crush, someone beloved by both boys and girls. the fact that she is adorably quirky and has an amazing sense of style are just a plus to her acting skills and good looks.